team building venues for start-ups or SMEs. 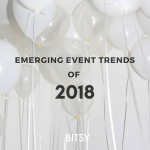 If you are working at a startup, and feel like your team needs to find fast and fun activities in order to build closer bonds, this is the post for you. You will find team building venues great for start-ups or SMEs. Working at a startup is like birthing a child. You never have time to spare. 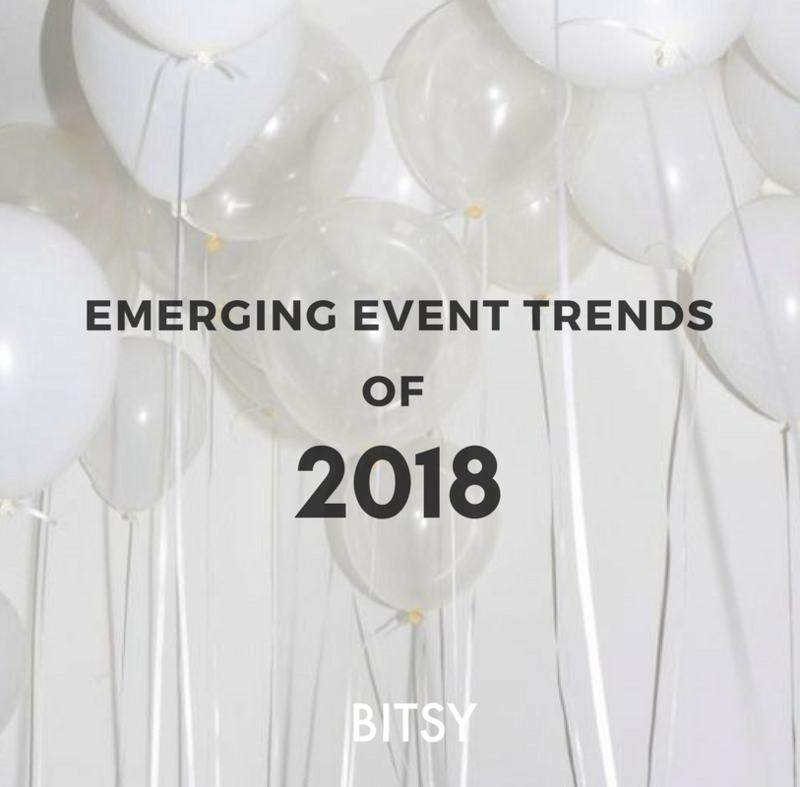 However, establishing a healthy work environment is so crucial in a startup since the group is small and the work requires a lot of team effort. A healthy work-life balance matters – the office environment, what’s around you, or what you can talk about – it all has an impact on morale and overall function. Big corporate companies will usually have sports day or do a day activity with their team in order to build relationships. Here is a list of fun, yet fast activities that’ll be suitable for any startup in Singapore. Xscape Singapore is a real crowd pleaser. Challenging for people of all ages and a great indoor team bonding experience. They have 5 locations in the city centre and are open daily. 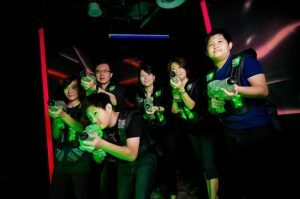 Similar to Xscape Singapore, LaserOPs is a great team bonding location for any group wanting a high intensity, adrenaline pumping and thrilling indoor challenge for a younger crowd. Another alternative is Zero Latency, free-roam, multiplayer immersive virtual reality gaming that is suitable for a team bonding challenge. Looking for an activity that allows you to go at your own time and own pace? 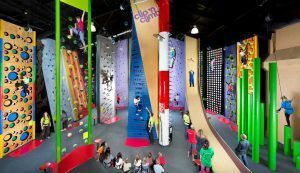 Clip n Climb provides groups with a good 1.5 hour sporting group activity without any team vs. team challenges. The only person you will be challenging is yourself. It’ll be a great time of laughter (at colleagues who are scared of heights) and fun. 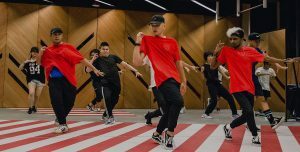 If you’re looking for activities you can commit to as a group, Singapore provides various fitness classes for beginners – dance, yoga, spin, and lots more. 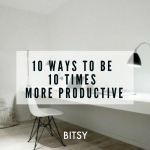 What’s more, these activities also help to increase productivity in the work place. Pulau Ubin is famous for it’s fun cycling and trekking family activities. However, it is a great way for a team to bond as well. 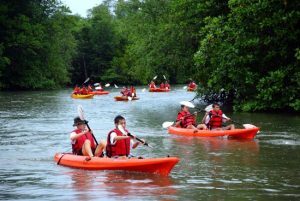 If you’re looking for something more challenging, try kayaking around Pulau Ubin. It’ll be an exciting way of seeing what your colleagues are like outside the comforts of the office. 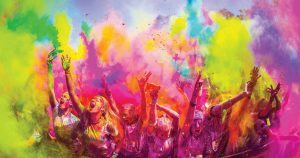 Be on the lookout for events like Colour Run, Prudential Carnival, or Illumi Run. 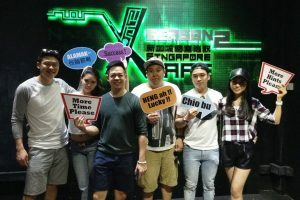 Singapore is filled with fun temporary events that is more than suitable for a small group to bond and have some time away from work.